Tennessee is a very long and skinny state; sorta like a wiener dog. (No offense intended to the folks from Tennessee). It is 500+ miles from the Southwest corner (Memphis) to the Northeast Corner (Bluff City or Bristol). That makes it a wiener dog state. Our time on I-40 ended in Knoxville where we picked up I-81 and headed Northeast. 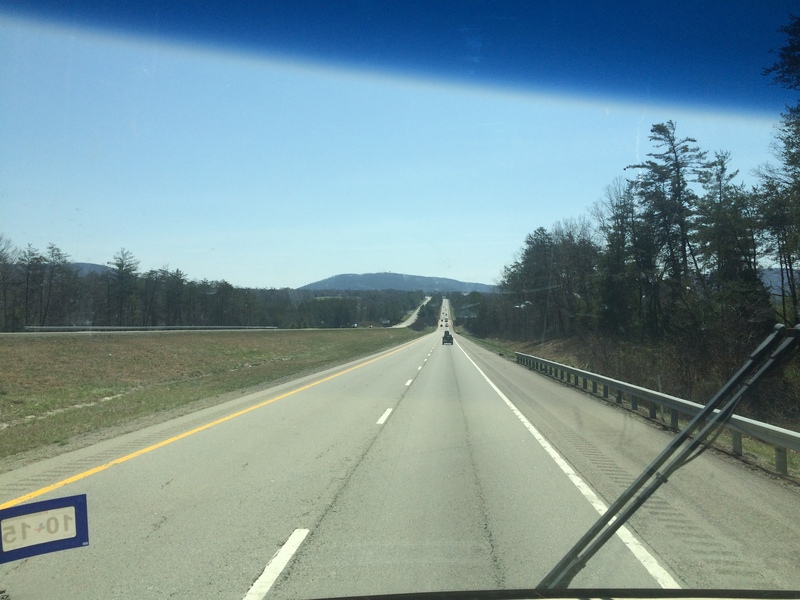 The Interstate Highways in Tennessee are a joy to drive. These folks take care of their roads. And as we head Northeast on I-81, new scenery appears in the horizon. Looks like we have big hills ahead. Our spot for the night is in Lake View RV. Apparently they are under new ownership since we were here in 2012. Talked to a few locals in the park who said they did not like the changes. 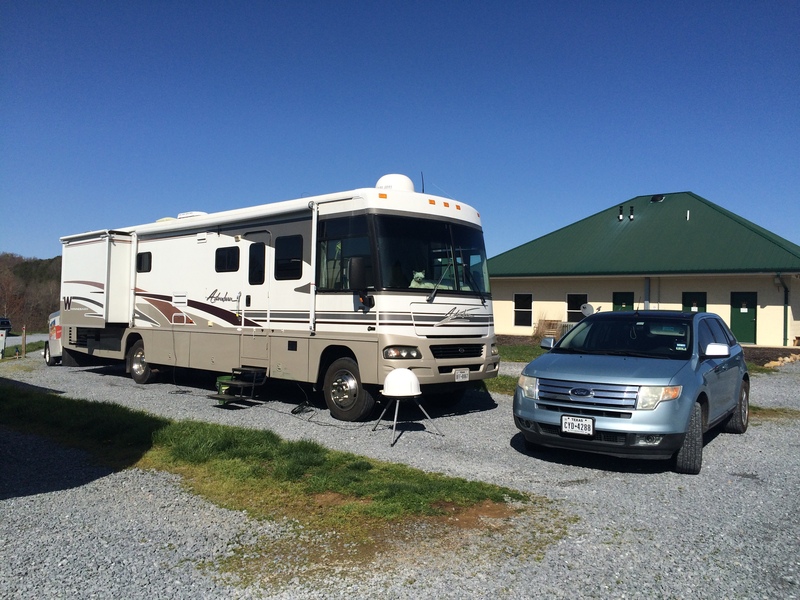 For folks who complain about their RV park, my response is always the same – if you don’t like the management, remember your house has wheels. It is better to find a place where you can be happy, than stay in a place where you are not. 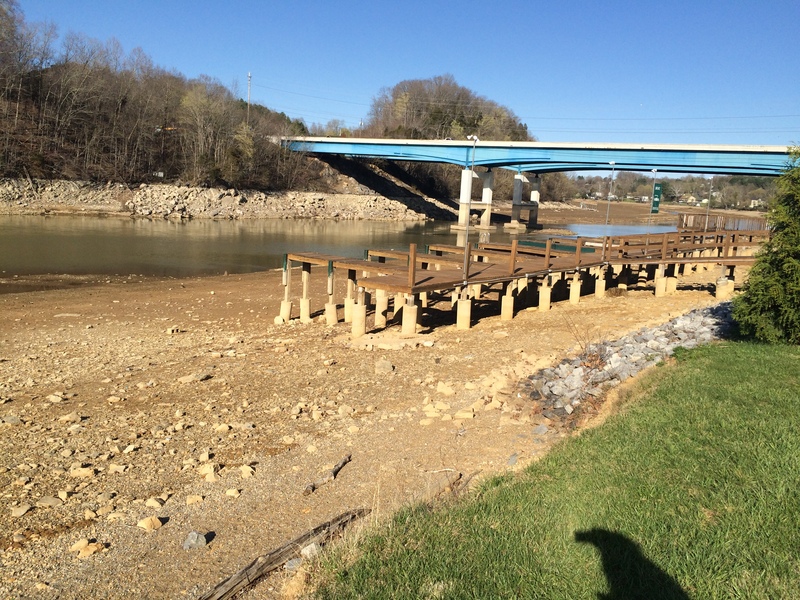 I know the management at Lake View RV park is not responsible for the low water level in Beaver Creek. The Tennessee Valley Authority is responsible for this drop in water level. Apparently seepage was discovered near the Boone Lake Dam in October 2014. The TVA announced the water level will not be brought back to normal summer levels until the source of the seepage can be found and corrected. Sadly, the property owners along Beaver Creek are not happy. Well, we did not stop here to take a swim or go boating. We came to visit my friend and former boss from Corpus Christi. Becky and her husband are now retired and live in Piney Flats on Boone Lake. Sunday morning we joined them for Easter church service at Grandview Christian Church in Johnson City. After church we went to The Bonefish Grill for lunch. This entry was posted in Tennessee, Travel and tagged Johnson City, Lake View RV, Piney Flats, Shenandoah Valley KOA RV, Virginia. Bookmark the permalink.